This week at Making It Rainfall, we decided to do another group of tribute levels. Previously we did Mega Man tributes, but this time we thought we’d try something more challenging and tried our hands at Castlevania based levels. This was especially challenging, since there are no Castlevania character skins and only a couple of enemies that would qualify, but our creators went above and beyond as usual to craft some unique and challenging levels. As usual, I have played and beaten each to prove they are fair and balanced, but fair warning – in the spirit of Castlevania, I made several levels intended to mirror the challenge of the old games in the series. Luckily, not every level is rage inducing. Without further rambling, here are the 7 levels this week! I have played many Castlevania games, so I used two enemies I felt best embodied the foes from those games in Mario: Hammer Bros. for Axe Armor knights and Magikoopas to simulate the flying Medusa heads. I have some tricky platforming, a hidden area, and the level, I think, is fairly straightforward. Though I didn’t intend it, this is a truly brutal level. I wanted to try a Castle themed level and I wanted to incorporate Medusa styled enemies. So I went with winged Buzzy Beetles. While they won’t hurt you like Medusas would, they are still a challenge, since you’ll need to ride them through a gauntlet of buzzsaws to reach the checkpoint. 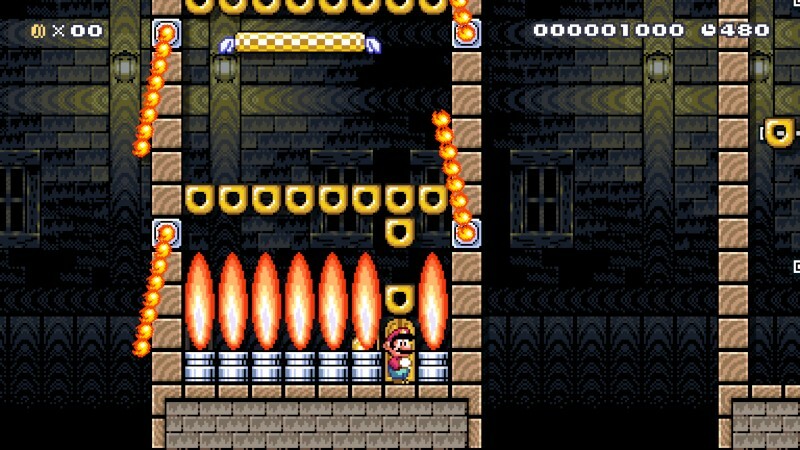 From there, you’ll make your way through a Skewer trap to a confrontation with Bowser, after making it safely through a moving platform course. If you so desire, you can find your way to a secret powerup station reminiscent of the hidden room in Symphony of the Night. 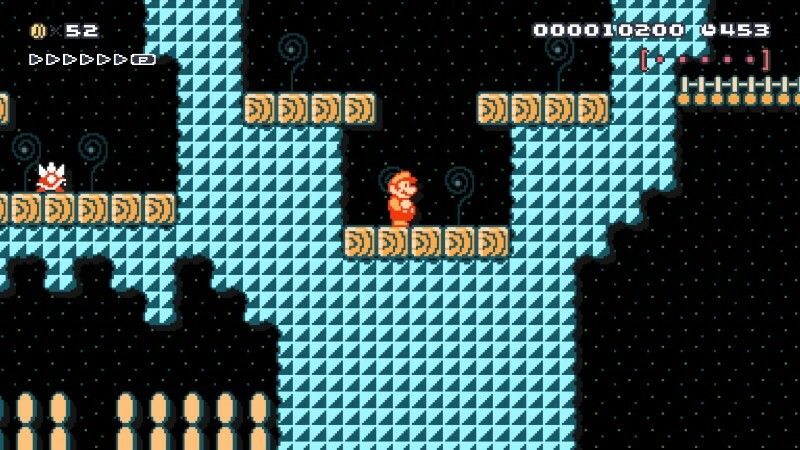 By far my hardest level this week. Pretty much every Castlevania game has a Clock Tower, so I did my best to simulate that here. In order to make a truly harrowing vertical climb, I connected three sections together via doors. 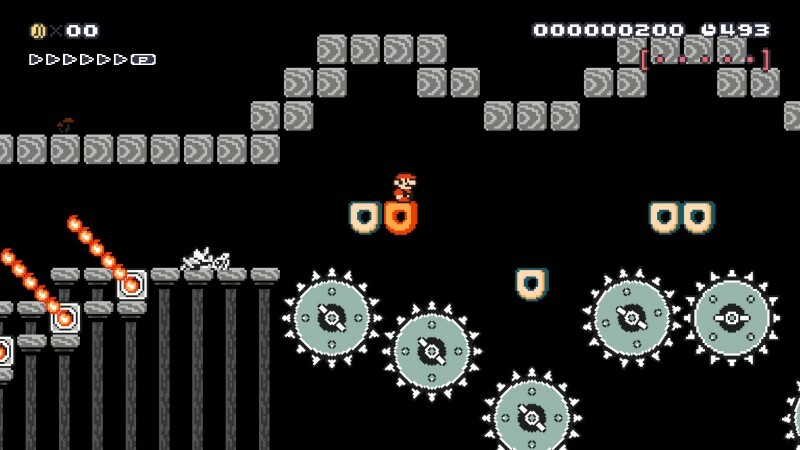 Each is laden with different traps to avoid, culminating in a epic boss fight against Bowser Jr. astride a giant Dry Bones (my version of a Death boss fight) that leads to a coin filled chamber and finally a spooky ride to the finish line. Probably my favorite level of my bunch. 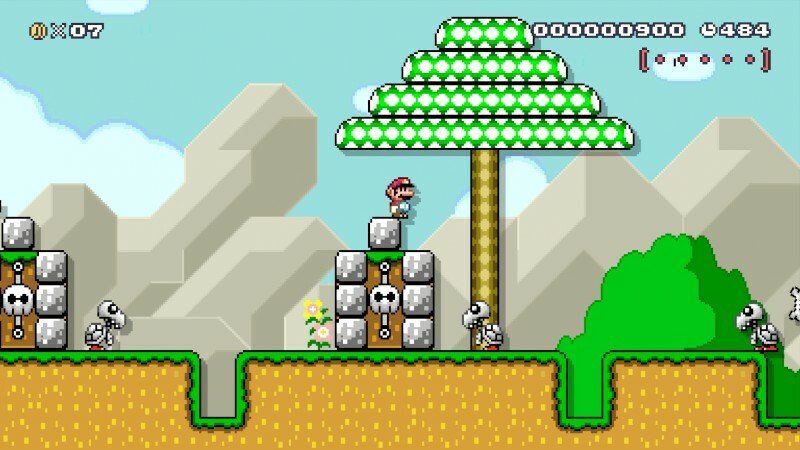 This level starts out really difficult but gets progressively easier as you get farther. 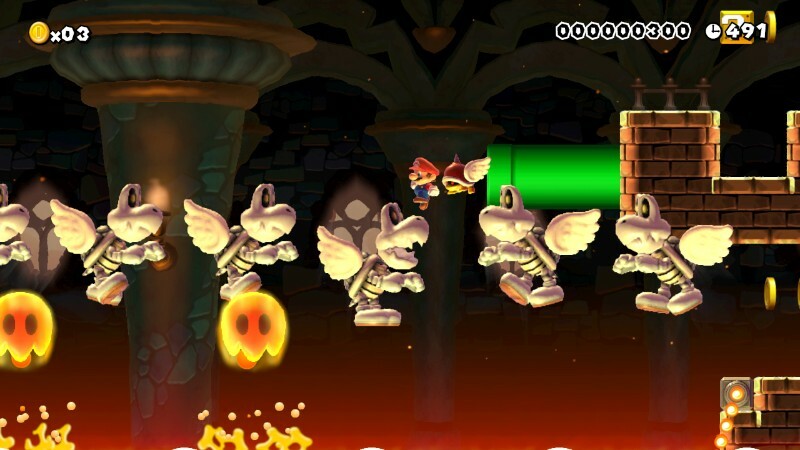 It has a Boo parade trap laden with Red Coins, a rollercoaster ride on a Skull platform and easy yet fun boss battle wielding fire balls against Bowser. Overall my easiest level this week. Here is Supervania Brothers. 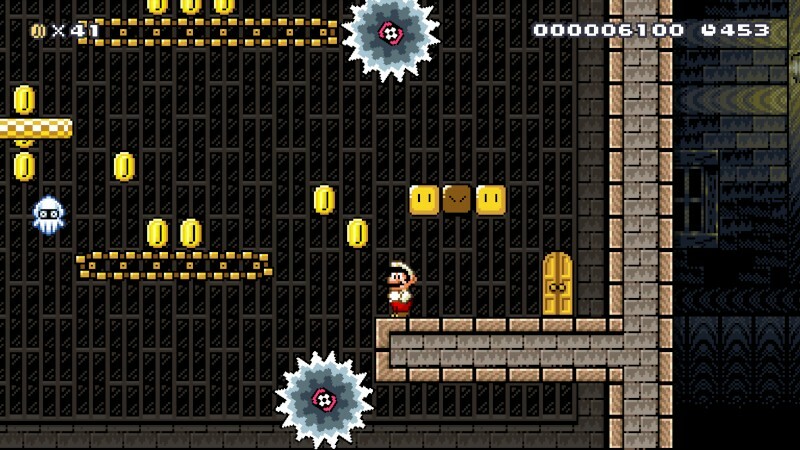 The level combines some Castlevania style enemies with some platforming as well. 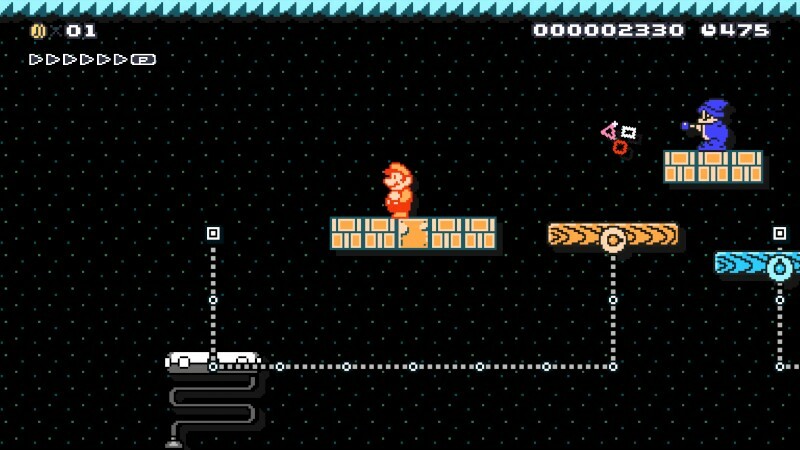 There are a couple of areas where you need to find a key or red coins to advance, and these areas are not linear, but rather areas that require you to explore to find what you need to gain entry to the next segment of the level. I sprinkled around a few hidden 1Up mushrooms as always, too. Phil does his best to craft a masterpiece level, one so big it had to be broken up into two distinct parts. The first part has you making your way through various outside sections full of traps and enemies, reminiscent of the living castle full of disparate rooms in Symphony of the Night. Nothing is too hard or unfair though, and Phil did a good job of spacing things out with checkpoint flags. Part 2 focuses on internal aspects of the castle, especially those of the Clock Tower theme. The level finally culminates in a truly epic and crazy boss fight against a giant Bowser. Make sure to utilize the items in that room to survive and finally vanquish the beast! That’s it for Week 18 of Making It Rainfall! We’ll be back in a couple weeks after all the madness of E3!